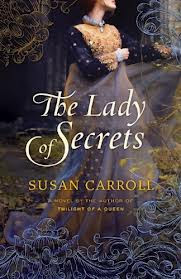 'This brilliant new installment in bestselling author Susan Carroll's mesmerizing Dark Queen historical fiction series is perfect for fans of Philippa Gregory. Queen Catherine de Medici is dead, and for Meg Wolfe--successor in a line of legendary healers and mystics known as 'daughters of the earth'--it is a time of new beginnings. She strives to be ordinary, invisible in the mists of Faire Isle, and is determined to put the terrifying days of a wicked mother and turbulent childhood behind her. But soon a summons from King James will rekindle a menacing power from the past, bringing haunting visions of a nightmare already unfolding--and a shattering mystery steeped in magic that will determine a destiny from which she cannot hide. Susan Carroll's Dark Queen series has been one of my favorite series for years. I was introduced to them a couple of years ago and loved them right from book one. The last book in the series was published in 2008 (Twilight of a Queen) and I really didn't think that there were going to be any more additions to this series. I was surprised to learn that there was a new book being released in this series and I knew I had to read it right away. The Dark Queen series is a historical fiction series that has a magical element involved and there are witches! I love all things to do with witches. I love the witch hunts and the witch trials and all things related to witches in history, so when I first read this series, it was right up my alley. I was concerned that this book would have a hard time picking up where the last one left off and to my surprise it flowed pretty well. The time period is different, which is almost what the series needed to be refreshed and the characters are different. The old characters don't make any appearances or anything, but they are mentioned and it's nice to have some semblance of the older books in the series being a part of this new revival. Meg is the daughter of an evil witch who once used to terrorize everything and everyone around her. Meg is completely opposite from her mother and uses her talents for good, not evil. She tries to put her past and who she is behind her in order to be the grand Lady of Faire Isle, known for her healing powers and for the goodness of her heart. Little does she know that she hasn't completely dealt with her past and it will be something that she has to deal with in the near future despite her unwillingness to acknowledge it. King James is now the king on the throne after the death of Queen Elizabeth I, and he sends for Meg to help him get rid of a curse set upon him by a condemned witch. The witch cursed him when he refused to pardon her from death by burning fifteen years ago and he is constantly in fear of the curse coming true. He learns of Meg's skills and asks her to lift the curse so he can rule his kingdom and live in peace. Meg must use her wits and her abilities to help the king and help save herself from her past. I really enjoyed reading this newest installation in the Dark Queen series. I really liked Meg's character and was rooting for her all along the way. I loved how she had to deal with her past in order to do good and stay true to who she is. Like I said before some of the old characters are mentioned in the story line and it's a very nice way to tie in the old part of the series with the new. 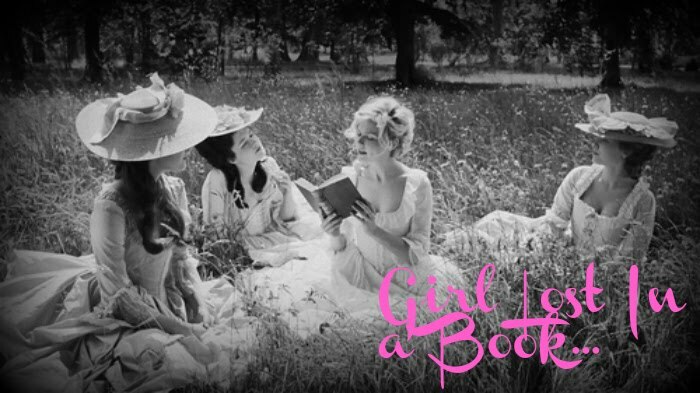 I hope that Carroll continues with the series and I would love to see a new book being released soon. It was four years between the last one and this one and I don't want to have to wait that long again. There were times in this book where the characters had different names and that got a little confusing at the beginning. They would have their given name and then some nicknames and it took me a while to get that straight, but once I did it wasn't as mind boggling. The ending had a nice little twist that I didn't see coming and I can see that the author set it up nicely for the series to continue. The Guy Fawkes plot is featured in this story and it's something that I didn't know a lot about, so it was nice to learn more about that. An interesting read that I think old readers of this series will love and I think it can open the door to inviting new readers to the series. Glad to hear that. I love this series and I highly encourage you to check into it. Hope that you do and love it as much as I do. Sounds good! I have never heard of the Dark Queen series before; I like the idea of mixing magic into historical fiction and to have a witch involved too. I really like witches and this book series is one I have come to love over the years. If you get a chance, look into it! I just ordered the first book in this series. Something to look forward to after the Christmas rush. I didn't really read alot of your review, don't want to know too much before I start the series. Oh good! I hope you enjoy this series as much as I did..Happy reading. I enjoyed reading your opinion. I'll have to stop by and see what you think. I'm not familiar with this series, but it sounds really good! I enjoyed reading the original five in the series a couple of years ago and I really enjoyed reading this newest addition. Check it out if you get a chance!